Finish off your retro swag with the Mens Jordan Cloud Camo Crew Sock. Made for serious performance and good looks, these socks feature advanced fabric for breathability and durability on the court. Reinforced at the heel and toes, these babies are ready for tough games, but also have the stylish cloud camo print for an iconic vibe everywhere you go. Constructed to combat the bitter cold, this water resistant winter boot features textured wool for ultimate insulation and All-Terra traction for the great outdoors. Memory foam footbed ensures the Sycamore fits like a glove (for your foot, of course). Take a shot at amazing comfort and sporty style with the Skechers Relaxed Fit Floater - Hunts Up shoe. 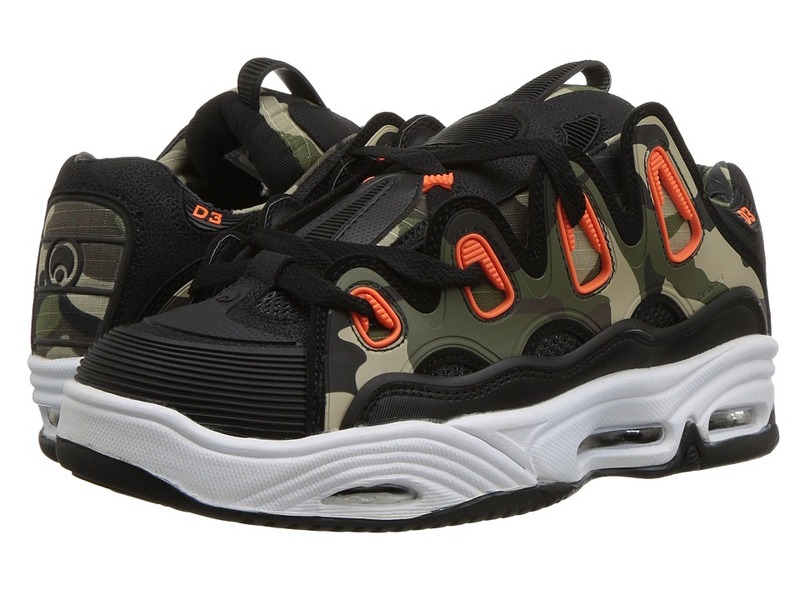 Soft suede, synthetic and camo print fabric upper in a lace up sporty casual sneaker with stitching and overlay accents. Memory Foam insole. Shell be a big hit wearing the Skechers Twinkle Toes Lil Hunter shoe. Soft RealTree camo print fabric and glitter fabric upper in a three strap front casual light up sneaker with stitching and overlay accents. Functional but stylish weather boots. Lasting Duration 600 Nylon upper. 8mm ZYLEX PERFORMANCE removable liner that wicks perspiration, traps body heat, and deflects outside cold. SNOWWAVE synthetic rubber outsole. Also features adjustable belt around ankles and drawstring along collar to provide an even better fit. Temperature rated: -40&amp#186F/-40&amp#186C Measurements: Weight: 14 oz Shaft: 9 in Product measurements were taken using size 11 Little Kid, width M. Please note that measurements may vary by size. Weight of footwear is based on single item, not the pair. 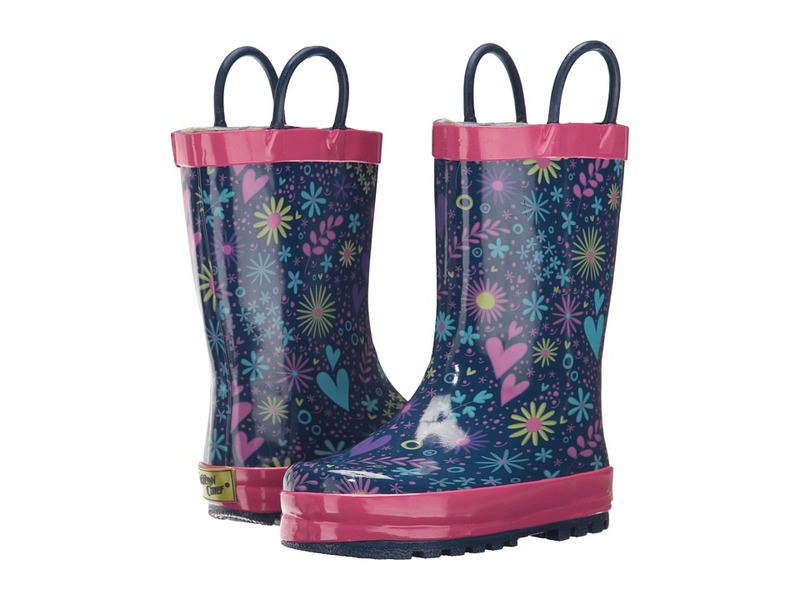 Splash in puddles with these camo rainboots for all day fun! Made with all natural rubber. Just in case a few raindrops sneak in the moisture-absorbing cotton linings will do the trick. Two handles make it easy for kids to pull them on and off. Lightly treaded rubber outsole. Shaft measures 6.5 circumference measures 10 Measurements: Heel Height: 3 4 in Weight: 11 oz Circumference: 10 1 2 in Shaft: 6 1 2 in Platform Height: 1 4 in Product measurements were taken using size 8 Toddler, width M. Please note that measurements may vary by size. Weight of footwear is based on a single item, not a pair. Constructed with a Bob sole. Camouflage locking snow collar for deep snow protection. Comfort rated from -76&amp#176F/-60&amp#176C to keep your feet warm in the winter months. 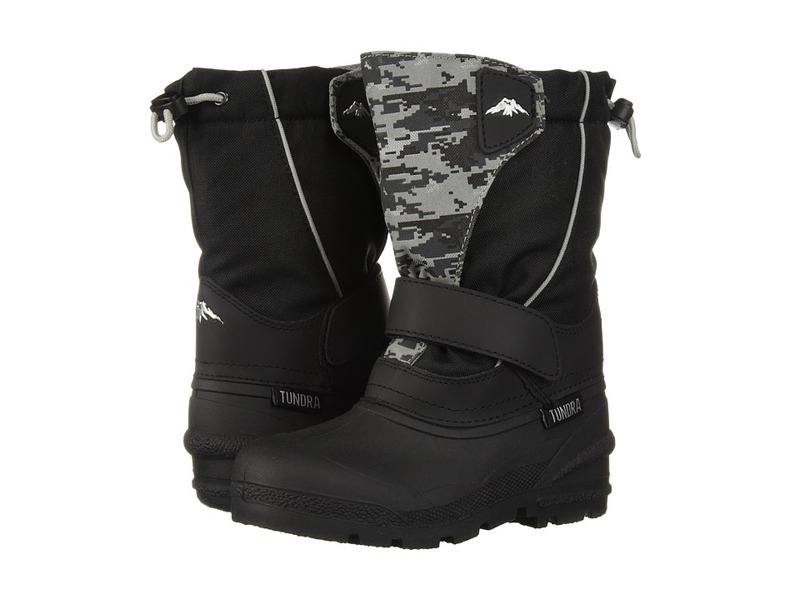 Removable inner Boot System provides lightweight, thermal insulation and moisture management. Completely waterproof. Allows for a great fit on your foot. Thicker shaft allows for increased durability while still allowing for flexibility to make maneuvering easy. Created with quality compounds. Perfect for serious hunters, outdoor people that spend hours in the cold, or those that want an all-purpose winter boot. Measurements: Circumference: 17 in Shaft: 12 1 2 in Product measurements were taken using size 7, width D - Medium. Please note that measurements may vary by size. Weight of footwear is based on single item, not the pair. 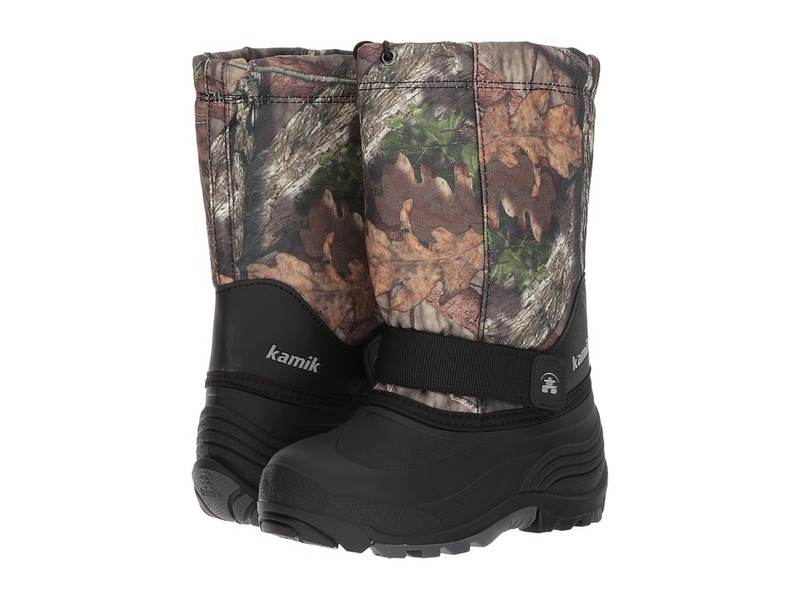 Keep the elements in check with the superior protection of the Kamik Icebreaker boot! 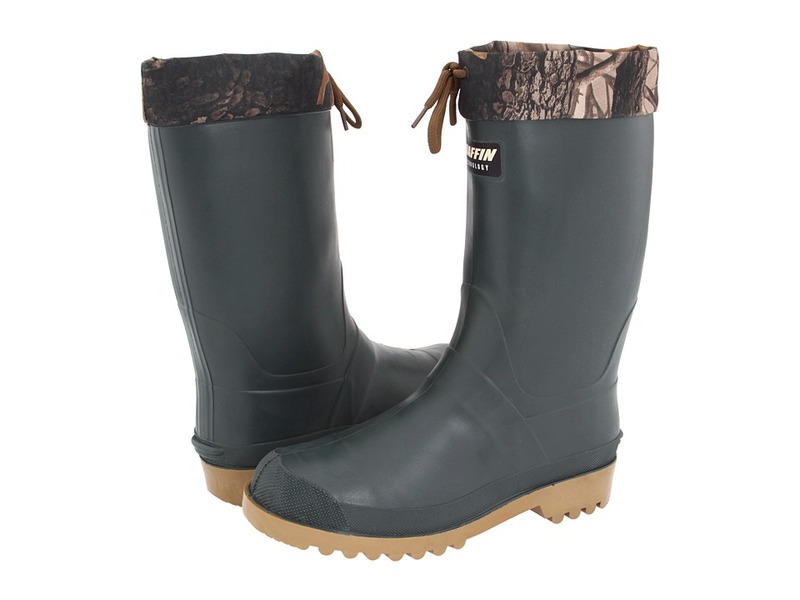 Rubber(He) upper with an adjustable 1000 denier weather collar. 100 percent waterproof rubber. Removable 8mm Zylex liner has a three-layer design that wicks away moisture, keeping your feet warm and dry in extreme temperatures. It is also easy to remove for quick overnight drying and is made of 97 percent recycled material. 11mm Zylex insole offers excellent underfoot cushioning and helps wick away moisture for drier foot environment. Kamik~s TRACKER Rubber(He) outsole is acid and oil resistant. Comfort rated for -40&amp#176F/-40&amp#176C. (Yup, those temp conversions are correct.) Made in Canada. Measurements: Heel Height: 1 1 2 in Weight: 2 lbs 3 oz Circumference: 17 1 2 in Shaft: 13 in Platform Height: 1 2 in Product measurements were taken using size 12, width D - Medium. Please note that measurements may vary by size. Weight of footwear is based on single item, not the pair. 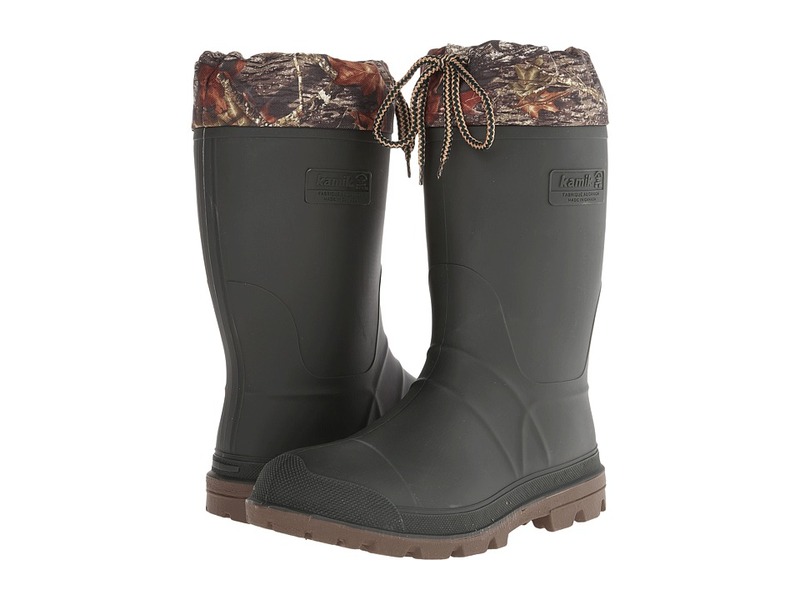 Great boots for keeping dry and staying bundled up during cold weather. Water-resistant nylon upper. Non-removable felt lining keeps feet toasty warm. Ankle strap creates a comfort fit while sealing in warmth. Adjustable elastic toggle helps to seal out moisture. Thick rubber outsole for durability. Temperature rated to -22F or -30C. Weight of footwear is based on single item, not the pair. 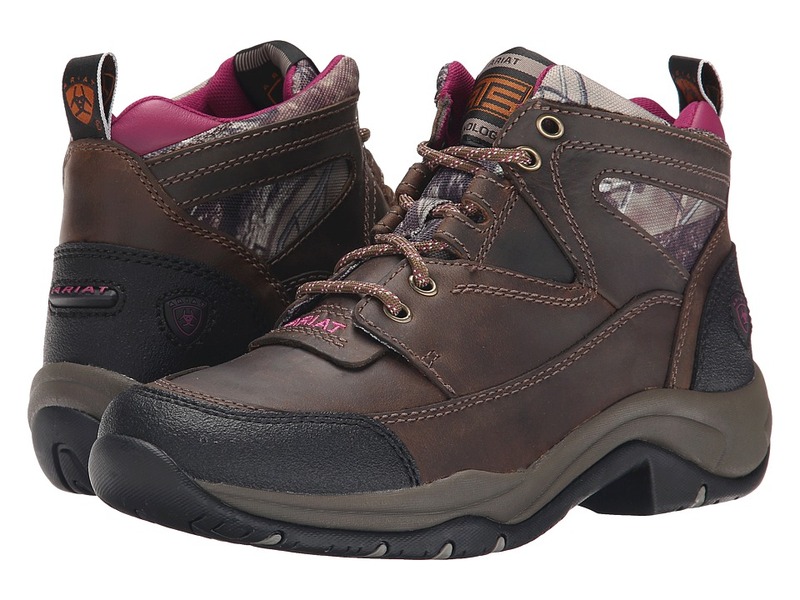 This lace up boot offers true athletic styling for serious endurance and trail riders. Full grain and Cordura Moisture wicking, anti-bacterial/anti-odor sockliner. Low-friction surface reduces heat build up and blistering. Resilient EVA compound offers cushioning and energy return for all-day comfort. Shock-absorbing gel forefoot cushion reduces skeletal impact stress on knees, hips and lower back. Polyethylene cupped footbed chassis offers torsional stability. Heel cradle stabilizes and supports the foot. Arch support encourages good posture and reduces foot fatigue. Ariat~s exclusive ATS Technology&amp#8482 for superior flexibility and cushioning. ATS&amp#8482 composite fiber forked shank offers unmatched stability and comfort. Duratread&amp#8482 outsole. Measurements: Heel Height: 1 1 2 in Weight: 1 lb 6 oz Shaft: 4 in Product measurements were taken using size 9, width B - Medium. Please note that measurements may vary by size. Weight of footwear is based on single item, not the pair.